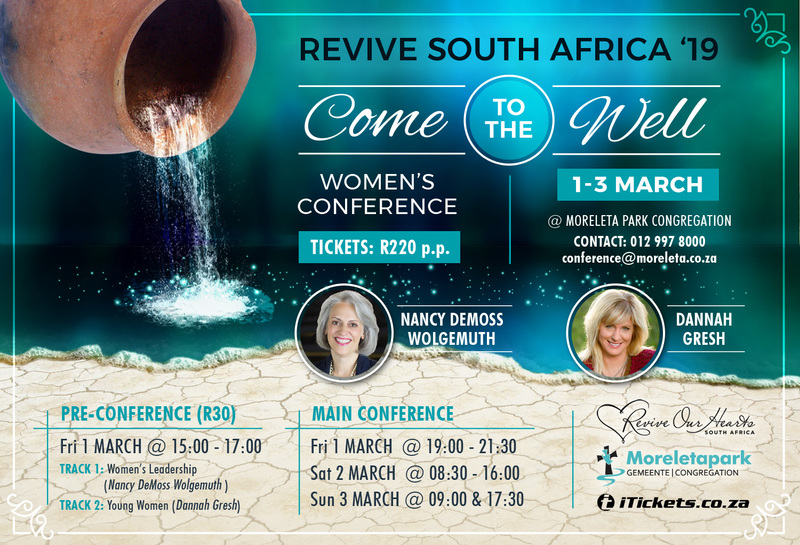 We are calling upon all women to come as empty vessels, that God may fill us with His living water. Women of all ages, backgrounds and cultures! "The hand that rocks the cradle rules the world". As mothers, physically and spiritually, we have a Godly responsibility in raising the next generation of God-fearing men and women. We are trusting for true restoration in ourselves, our families, our communities and our beloved South Africa. Join together when we humble ourselves before the Lord and seek His will. May we answer His call in one voice: Yes, Lord!